Saudi Telecom Company (STC) has embarked on a region-first campaign with Twitter to celebrate Saudi National Day. 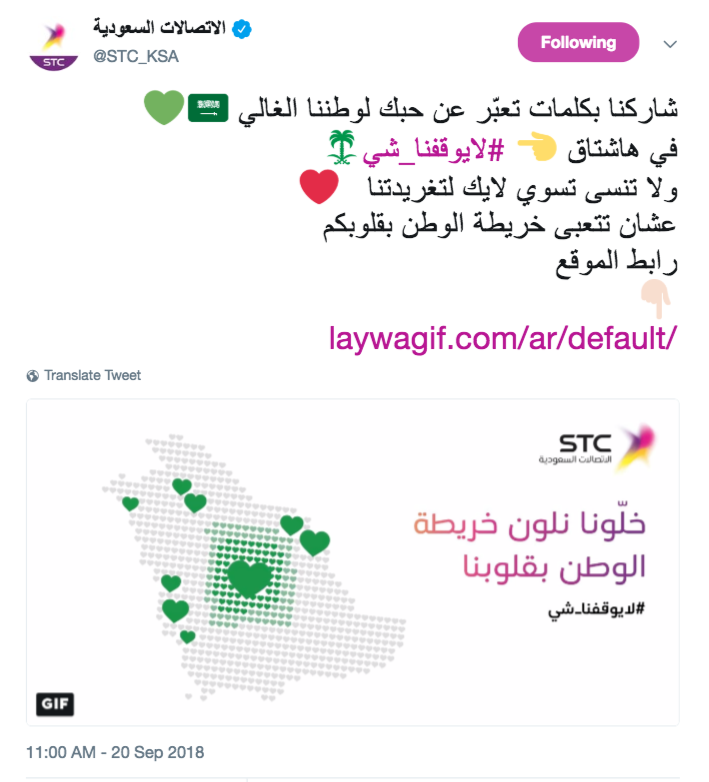 With the objective to drive awareness and engagement during #SaudiNationalDay2018, STC (@STC_KSA) is showing the love of the Saudi people for their country by inviting them to heart (like) one of its Tweets. Each heart on that Tweet will be translated into a heart on the homepage of its website, forming and completing a map of Saudi Arabia in real time. When people heart the Tweet, they receive an auto-response notification on Twitter that gives them the number of their heart ‘You are 💚 number XXXX’ and a link to find it on the website. When visiting the website, people can type their Twitter username in the search bar that will reveal the number of their heart. 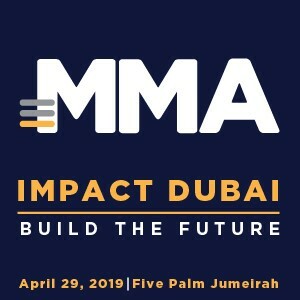 The live dynamic map, part of a region-first and exclusive campaign on Twitter, was developed through a Twitter API, which enables innovative interactions such as this.